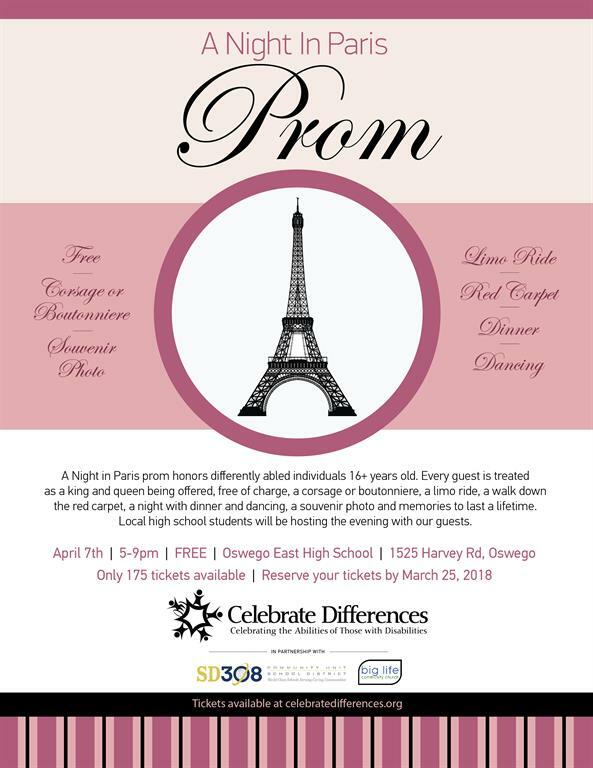 A Night in Paris honors differently abled individuals ages 16+ years old. This is their night to shine. a souvenir photo and memories to last a lifetime. Everyone MUST be signed up by March 25, 2018. Every guest must have a ticket prior to the prom. Please print your ticket and bring it with you to the prom. Love giving back? We love our sponsors!